Section Three match at Northern Lebanon, at Pine Meadows, 1 p.m.
1. 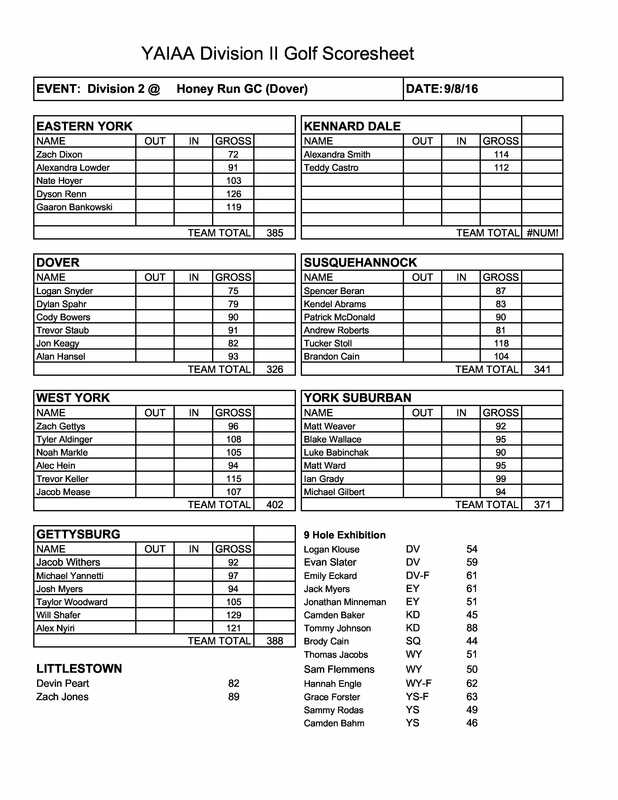 Chambersburg (30-0) (336) — Karsen Rush, 73. Luke Ocker, 82. Grayson Hopple, 90. Spencer Rajtik, 91. Spencer Bodner, 91. 2. Northern York (21-9) (347) — Austin Schreffler, 81. Owen McKeever, 83. Jarrett Albert, 91. Jake Sacoman, 92. Billy Lindoerfer, 95. 3. Big Spring (9-21) (347) — Isabelle Macioce, 83. Alec Kessler, 87. Dillon Sinick, 88. Johnny Brookes, 89. Garrett Frick, 91. 4. Greencastle-Antrim (11-19) (352) — John Williams, 82. Chad Harbaugh, 86. Jacob DeCarli, 90. Noah Witmer, 94. Amanda Steier, 98. 5. Waynesboro (18-12) (360) — Olivia Gardenhour, 82. Robert Sirk, 83. Sam Franki, 97. Jonathan Sirk, 98. Paul Steiger, 100. 6. James Buchanan (2-28) (362) — Jacob Suder, 83. Zack Devotie, 89. Hunter Reath, 92. Caleb Reath, 98. Noah Wise, 104. 7. Shippensburg (14-16) (381) — Adam Maring, 92. Jim Smith, 94. Tanner Greenawalt, 95. Brady Kuhn, 100. Dillon Labonte, 101. 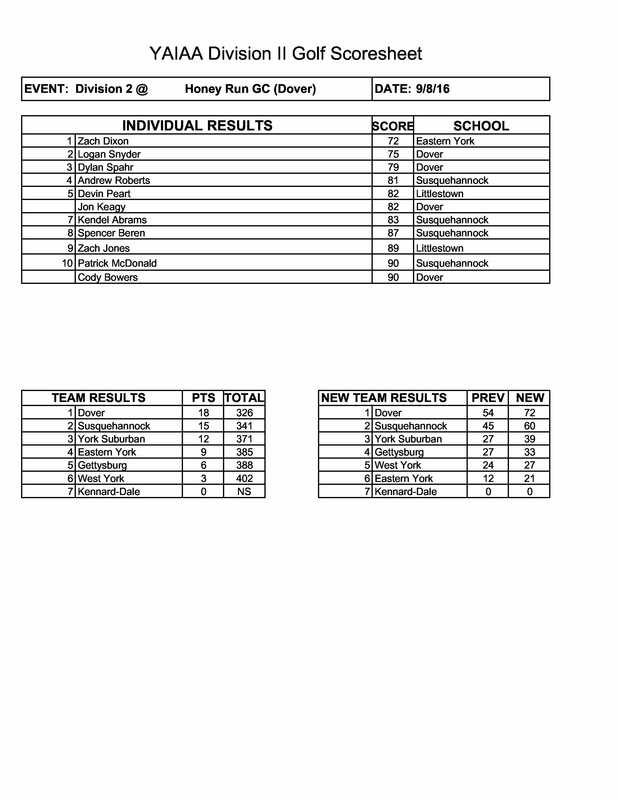 Central York wins Division I match at Pleasant Valley. Click here (and here) for full results from the match. Dover wins Division II match at Honey Run. Click here (and here) for full results from the match.